My grandpa ( a man I love MUCHO) recounts a time in his life in the late 30’s and early 40’s when he worked in the produce section of a local market. Vegetables and fruits were seasonal and bananas were a BIG deal! He told me that when bananas would come in they were reserved in the back of the store for the ‘good’ customers before offering to the general public! 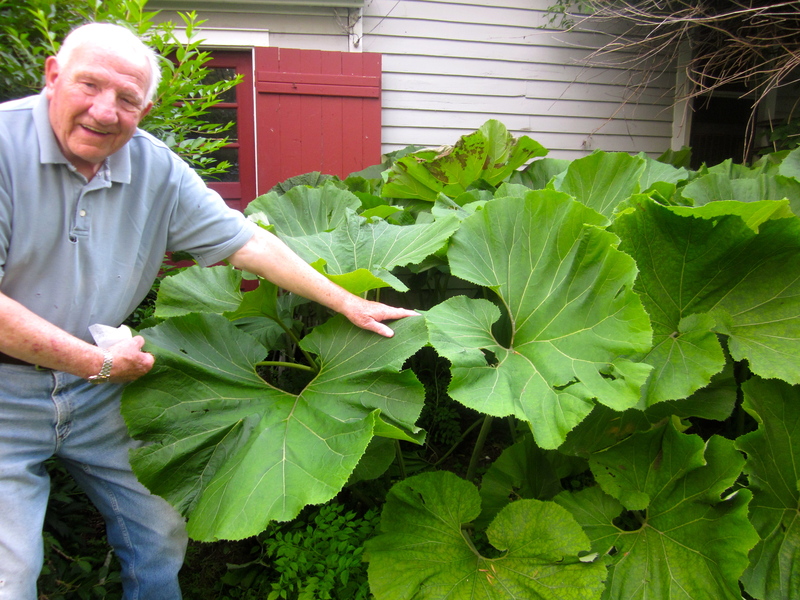 Here is Grandpa…. Choices were very limited in comparison to what grocery stores offer today. This topic on choice makes me question–Just because we can should we? Do any of you recall that every summer we say just how good a juicy, sun-ripened tomato tastes or that a steamy bowl of fresh, butternut squash bisque hits the spot during the fall? We say this because it’s true!!! A tomato that is grown locally and in season IS going to taste far better than a tomato that was picked under-ripe and shipped halfway across the world to your local grocery store. In the past seasonal eating was all we used to know. Now with the onset of technology, globalization and supply and demand we are offered a myriad of choices ranging from Fiji to Switzerland. I believe that seasonal eating is important to maintain balance and nutrients in our bodies. It is not a coincidence that we crave certain types of food throughout the year. Each season bears foods and cooking methods which support our bodies. Winter time is dry and cold and sustains cold weather crops such as root vegetables. Soups and stews warm and moisturize our bodies from the cold, dry air. Warmer weather brings fresh and abundant crops ranging from berries, to greens and tomatoes. We crave fresh and raw foods to cool our bodies from the heat. In hopes of becoming a better seasonal eater my friends and I purchased a CSA share with a local farm (Trillium Haven Farm). Each week we receive organic vegetables that are in season! It is a challenge to keep up with the bounty of veggies and meal planning but it sure does feel good to eat this way. I applaud those who do grow their own food, put it up and reap the benefits of their labor. You’ve got a good thing going on! The height of summer has come to an end and as this post mentions, sadly so have the tomatoes. My farm share was pumping out gorgeous, succulent heirloom tomatoes. Purple ones, green ones, red ones, yellow ones variegated ones….so so so GOOD!!! I stored up enough of these beauties to make a great end of summer Heirloom Tomato Pie. Heirloom Tomato Pie, photo by michelle. I do not pride myself on my baking skills so for this recipe I bought a pre-made pie crust. Slice up your tomatoes, sprinkle them with salt and let them sit for about 10 minutes in a strainer. Chop up the roasted red peppers, slice the onion and chiffonade the basil and set aside. In a bowl mix together about 1 cup yogurt and 2 cups feta cheese. 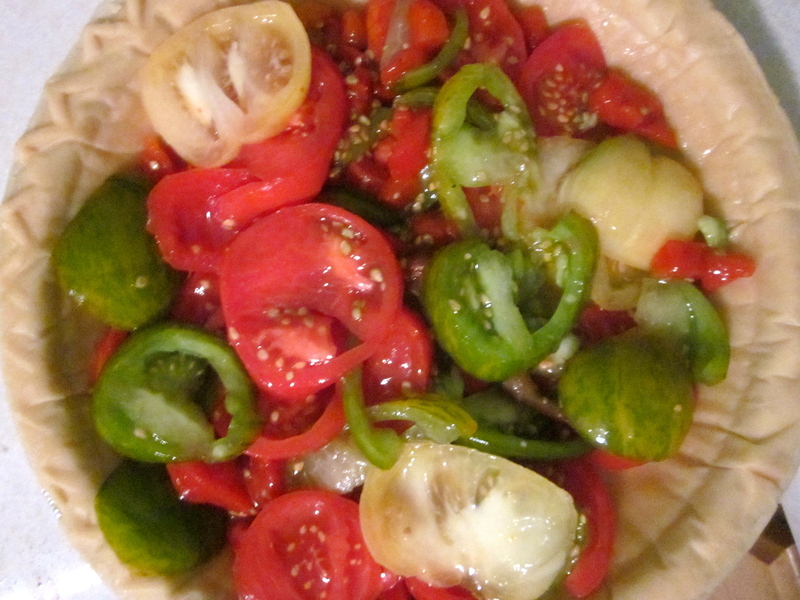 Layer the tomatoes, roasted red pepper, onion and basil in the pie shell. With a rubber spatula spread the yogurt and feta cheese mixture atop. Pop it in the oven for about 30-35 minutes. Let cool then slice it up and serve! 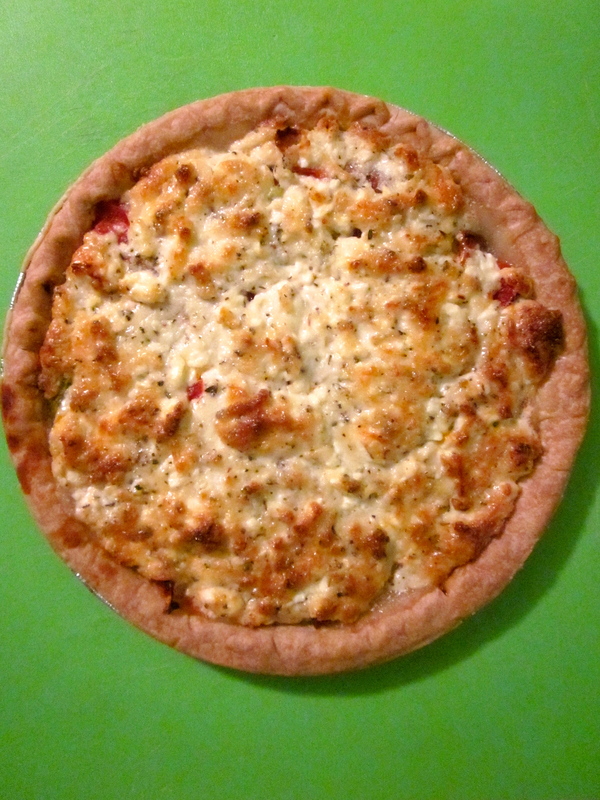 Tomato Pie with Feta Topping, photo by michelle. End result, nicely browned and SO GOOD! Posted on October 8, 2011 October 27, 2016 by Table Without BordersPosted in Main Dishes, Recipes, Salads and SidesTagged farmer's market, Feta Cheese, green tomatoes, Heirloom, Pie, Seasonal, Summer, Tomato, Trillium Haven Farm.